“Nobody goes to the luxury box to watch hockey. It was a rare night, last night. No, not just because the Phantoms won a home game for the first time in 35 days. It was rare because all four teams I was watching last night won. But let’s go back to the beginning…. Headed into last night’s game I was not optimistic. How could I be? You don’t sit through an 8-0 drubbing (or two periods of it, anyway) and feel good about your team. I had worn an IronPigs cap Wednesday, but sported the 2014-15 inaugural jersey as a “good luck” charm. The “inaugural” had been in a glass case at my office for the past year or so, but recently traded places with an orange Goumas jersey with the inaugural patch, from last season. Needless to say, it didn’t work. I have to admit, hat trick was the last thing on my mind. I just wanted to score a goal, you know. Goals 15-2 against, over the last three home games was tough to take, and I couldn’t imagine three goals by the same player. So, as is my nature during baseball season, I chose a hat which matched by sweatshirt/jersey and fit properly with the length of my hair (look, this is complicated) and away I went–by myself because I couldn’t convince anyone to come with me given the performance on Wednesday. Back to the game. Even alone, I try not to be on my phone the whole time, lest I miss a goal or something. But I was following a couple other games. As you probably know, the Reading Royals were home last night as well, and have but a three-point buffer on their playoff spot. I was following along to see if they could handle Manchester. Last night was also the very first game of this incarnation of the Bethlehem Steel F.C. soccer team. They were in Montreal last night for their opener. (Their home opener is next Sunday at Goodman. C’mon out!) I really wanted them to do well, and the game was live-streamed, although I never tapped in. They had a full compliment of MLS players from the Union on board; I thought they had the chance to win or at least get a draw point on the road. Finally, the SteelHawks are in North Carolina for their second road game of the year. They started the day 2-0 overall, and 1-0 in league play on the season, and ranked second in the indoor power rankings. The Phantoms certainly played well last night. Hard play and hustle resulted in the first goal, as Chris Conner hustled up the boards to make the Providence netminder pay for a weak clear. A couple minutes later, veteran centerman Tim Brent picked up a rebound during the power play and fired it home from the circle. 2-0 Phantoms. But how were the Royals doing? Oh, no. We’re up 2-0 and they’re down 2-0. Lots of time. SteelFC? Still nil-nil in Montreal. The Bruins get one back. While Ouellette made some nice saves last night, got the third star, and certainly gave 100%, I think he’d tell you he’d like to have all three of the goals back. On the first, he lost control of a rebound right in front of the net, and now the Bruins were within one. No matter, Drewiske got a shorty not long after–on a beauty of a pass from Leier. Again, it was a lot of hustle resulting in a quality chance, and Whiskey converted it. In Reading, Goums gets a tally, and they’re within 2-1. 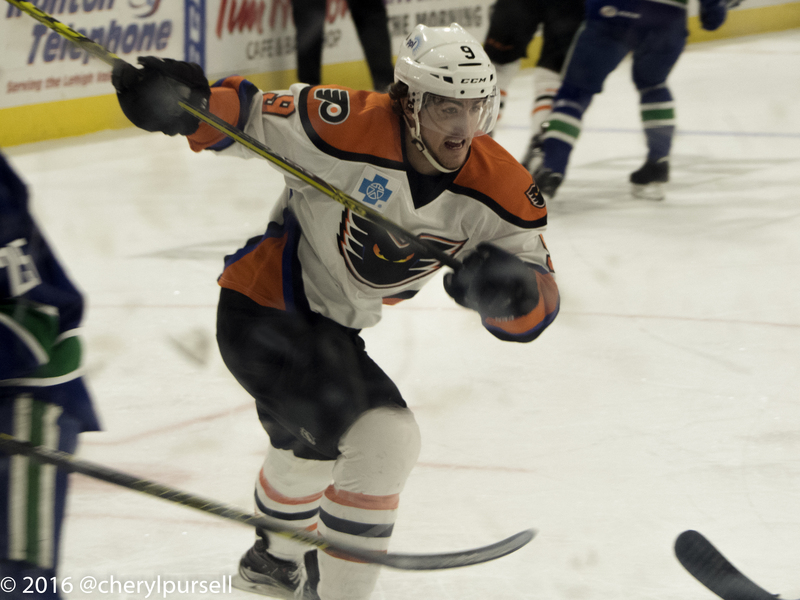 Snipe in Allentown and we’re at 3-2–Ouellette probably should have been able to stop that one. SteelFC go up 1-0. SteelHawks are neck-and-neck, as arena football always is, and the non-linear Twitter timeline has me frustrated. Lotta yellow cards in that soccer game. Mostly for Montreal. Sounds like SteelFC have things under control, despite the narrow lead. Uh-oh, Reading now down 3-1. SteelHawks dodging bullets as Triangle Torch constantly driving on them, and our offense sputtering. Second period in Allentown, and Providence ties it. Once again, I thought Ouellette could have made a better play, but overall we’re still playing hard. Reading gets one back off the stick of Tifu. SteelFC in control in Montreal. SteelHawks getting a cushion in North Carolina. Royals tie it! Rehkamp with the marker. SteelFC close out the win in Montreal! That’s three–count ’em–three standings points in an away game to lead off the season! Things going our way despite 3-3 game in Allentown. Phantoms GOAL! Conner with another tally, from behind the net. Puck flipped up over–not on purpose–and off the goalies back into the net. I always wonder why they don’t try that play on purpose from time to time–Conner’s went off the back of the net somehow and way up in the air, but it seems like you could just flip it up and go for the carom–I’ve seen it happen before. Anyway, this means I’ve got to put everyone on “hat trick watch” for Conner. He’s got two goals with a whole period to play. I send the appropriate tweet and instaface messages. The game is paused as they check the replay. Status quo in the other games. SteelHawks defense taking over–getting turnovers and TDs themselves as they’re want to do. Then, a sick feeling in my stomach. My hat, chosen hours ago, is not replaceable. I had the Fourth of July IronPigs bacon on–they no longer sell it. I can’t really throw it, can I? Royals win! Young from Tifu on the power play and the Royals are able to close out a come-from-behind 4-3 victory with Adam Morrison in net. We’re not able to get an empty net–had to watch carefully in case it was Conner–but we do hang on for the first home win since February 19. Conner had a couple nice chances in the third, but didn’t convert. SteelFC, Reading, and SteelHawks all won as well. 4-0 on the night. And, I’ve got a new hat. Same basic lineup as Wednesday, with Padakin sitting for Dalton Smith, who played well in his stead. Still waiting on ATO Reece Willcox (two ‘L’s)–he may not play until next week. Reports are that the players had “players only” meeting after Wednesday’s loss. Those don’t always work, but in this case it seems to have. Flyers 2014 fifth-round pick Oskar Lindblom has joined the team on an ATO from Sweden. He’ll wear #28. Tickets: This game has gone ‘SRO.’ Acquire tickets before heading downtown. There are a bunch on the secondary market, as well. Broadcast: This game is part of the FMZ-69 package and will be broadcast for free. Promotion: “Fan Appreciation Night” should yield plenty of giveaways and promotions around the arena. Let’s see what they do for us. I think I missed this one for baseball last season. The “SlapShot” Sangria should still be available in the Club or Miller Lite Loft. Non-meat concession items are available throughout the arena for Lent. PreGame: No pregame yesterday as I was travelling alone and didn’t want to get too “prepared” for the game. It was a nice day, so I grilled up some burgers and onions at home before I headed downtown. Mrs. Kram perhaps on board tonight, so ROAR is in the plan. The Phan Club is hosting the WolfPack boosters, and will have an early arena access and a buffet. If that’s something you’re interested in, you have to get in touch with them ASAP (in fact it may be too late). PostGame: There are some post-game options, including music at The Dime. Check your local listings, as they say. Watch to see if Ouellete gets the back-to-back starts. I think he played well enough to, but perhaps they’ll rotate and give Connor Knapp some more AHL time. Watch to see if the effort level matches last night. That was a lot of ‘compete’ and it was good to see. Can they bring it again? Even if they don’t win, it makes going to the games more fun and worth my time and money. Watch Swaves and Smith. I get them mixed up, but they’ve both done well of late. Watch McDonald and Bardreau–both those guys were throwing their bodies around last night. Morin looked like he wanted that fight last night when someone had Bards in a headlock. He didn’t get it. Could he tonight? I seriously doubt Lindblom will play, but he is in town. Could he warm up with the team? Watch for #28. Or wave to him in the press box. Three home games remain in this season. April 9 versus Bridgeport. I may be there if the weather keeps me from going to Reading for baseball. April 15 versus Pens. I may be there if weather keeps me away from IronPigs. April 17 versus Syracuse. We finish where we started, huh? This is a Sunday game, and kind of an interesting day. IronPigs at 1:35PM, SteelFC at 3:00PM, and Phantoms final home game at 5:05PM. Can I do all three? We’ll see. Otherwise, this may be my last one. I’ll have previews up, in some form, so stay tuned.